I am so so excited about this week's post! First of all, this is a double recipe post. Yep, double the recipe fun today! Both of these recipes compliment each other so well. And even more exciting for me, both of these recipes are totally toddler friendly...Oh, and perfect for the summer! Have I mentioned how excited I am for these two recipes? Let's start off with a great smoothie recipe from Kristal over at Mama at Home . I have been following Kristal's blog for quite a long time now. Her son Isaac is adorable, and Kristal is quite the amazing mother! They just recently moved and have a new house that Kristal is busy making their home. Kristal has an amazing garden and they even have their own family chickens that give them fresh eggs! She describes herself as "A SAHM with one amazing husband, a perfect little boy (that has become quite the dare devil lately), and one adorable dog. Check out her blog to meet her and her family! 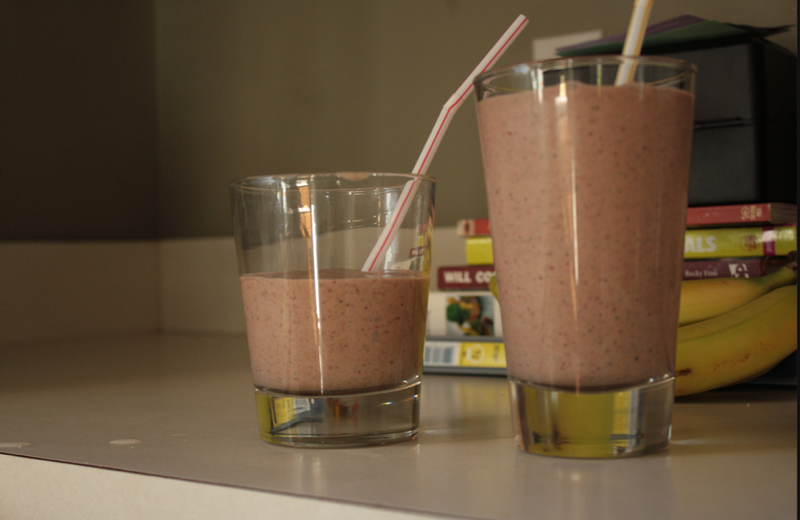 This is a great recipe for your picky kiddos that aren't fans of veggies. A great way to "sneak" in those greens! 1.5 cups of frozen fruit - suggestions- combo of strawberries, peaches, blueberries, and blackberries, depending on what you have on hand. 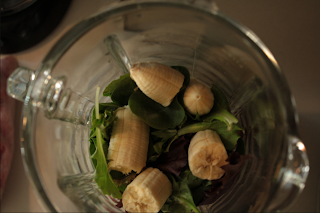 Toss it all into your blender and blend until smooth. Serve with a big straw! So refreshing for the summer! And so healthy for your kiddos! After you are done making your fruit and veggie packed smoothie, it's time to make some sandwich kabobs brought to us by Tomi over at Three Boys and an Old Lady. Tomi is a fab mommy who loves trying new products and sharing her views and reviews with her readers! And she has some fun recipes on her blog that you have to go check out! 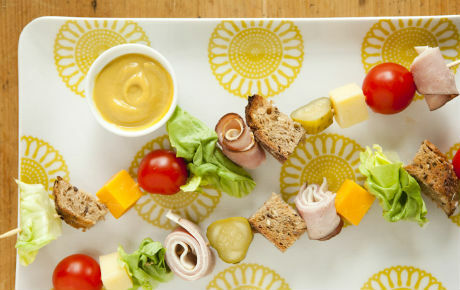 These sandwich kabobs look like so much fun for toddlers, especially for a summer time picnic! Stack bread and slice into cubes. Slide bread cube onto skewer and then allow kids to pick cheese, meat and veggies. Slide onto skewer. Repeat until skewer is filled (about 1 in from either end). Try preparing dipping sauces like BBQ sauce, honey mustard, ketchup and mustard and let the kids dip away. Serve with fresh fruit and let the kids use skewers to pick up fruit for extra fun. Thank you so much Kristal and Tomi for these fun summer recipes! Thanks for visiting my site! Returning the follow! Those sandwich kabobs are awesome! What a cool idea. Thanks for dropping by Always Just A Mom! I love the sandwich kabob idea...so fun!!! Hope you have a great week! I'm returning the follow!